Susucaru wine – never heard of it? Join the rest of us. 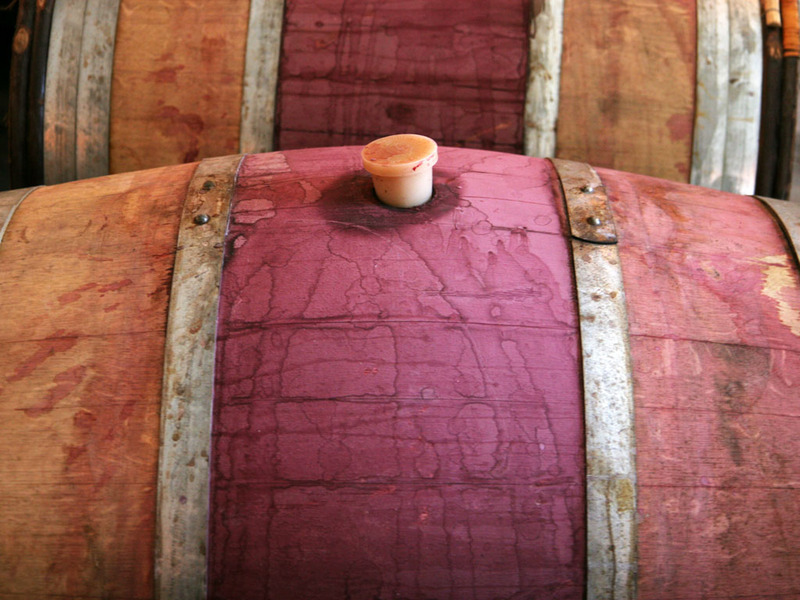 At least until recently this obscure wine from Sicily’s Mount Etna wasn’t on anybody’s radar. Until a rapper came along and gave it his highest proclamation. Action Bronson is a New York chef-turned-rapper who’s also the star of a new show on Viceland called “F*ck That’s Delicious”. Frank is a fierce proponent of “profound territorial wines”. Unlike other rappers who raise glasses of Dom Perignon or Cristal, Bronson is a true renaissance man who shows a strong preference for natural wines. In most of his episodes he can be seen at some point waxing poetic about food and life with a glass of wine in hand. I saw the episode where Bronson delighted in drinking this wine, but didn’t think much of it until seeing a recent post on Wine Searcher which reported how this previously unknown wine shot to the top 20 of its most searched for list, jumping ahead of popular names like Cos d’Estournel and Penfolds Grange. So what’s the deal with this wine? Well, it’s made by Belgian Frank Cornelissen, a sort of anomoly in the winemaking world. 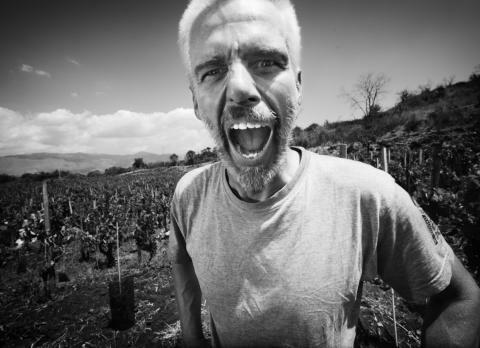 He’s a fierce supporter of natural wines, and even considers biodynamics as an interventionist practice. Thus he farms his 64 hillside acres in a totally minimalist way. He lets the vines carry on as they wish, growing them in a Gobelet or bush-vine system that’s similar to the Graupert that our friends at Meinklang make. The same minimalist approach follows through in his winemaking. 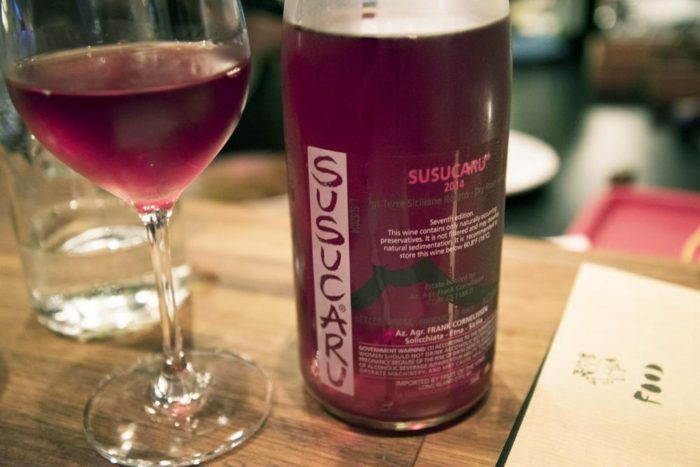 Susucaru is made from a range of native Sicilian grape varieties including Nerello Mascalese, Malvasia and Inzolia. With no added sulphites or yeasts, the wine is definitely geeky stuff, and probably closest to a pale Jura red if you’re looking for a comparison. The name Susucaru comes from a Sicilian expression meaning “they stole it” which is what Frank’s crew shouted when they realized most of the grapes from their first vintage had vanished. 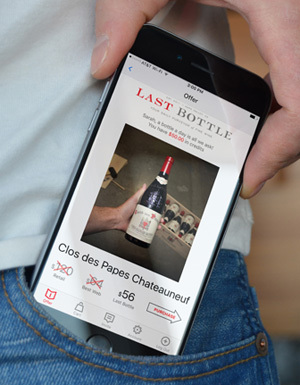 The wine is unfiltered, and contains only natural preservatives such as polyphenols from skin contact and a touch of carbon dioxide, a byproduct of fermentation. Some have described his wines as a “bit too much” and “unapolagetically funky”. Still, that didn’t stop Wine Enthusiast from awarding a strong 89 point score for his 2013 Susucaru. Good luck finding any Susucaru at your local wine shop though. Since Action shared his love for it, the few stores carrying it sold out. In 2015 Frank didn’t make any Susucaru at all, opting instead to use the grapes in his “Contadino” blend of mostly Nerello Mascalese (85%), Nerello Capuccio, Allicante Boushet, Minella nera, Uva Francesa and Minella bianco. Seems like we must wait until this year’s vintage is released to have a chance.